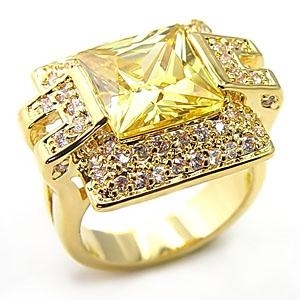 Stylish ring. Brass base with gold overlay. Topaz and clear AAA grade cubic zirconia.